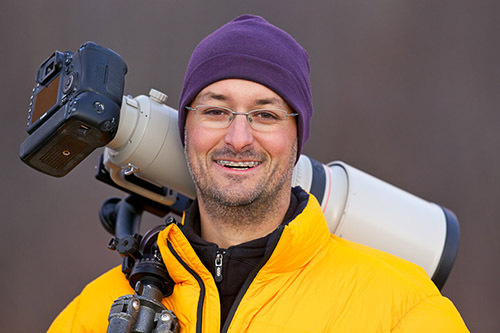 This month, our featured guest is accomplished wildlife and nature photographer, Jon Cornforth. We want to thank Jon for answering our questions and sharing his thoughts, stories and time with us! Please visit his site and social links to learn more about Cornforth Images and to let him know you enjoyed this interview. :: How did you get your start in photography? 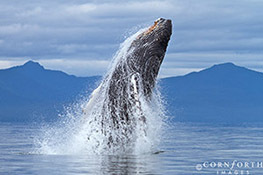 Were you always a nature/wildlife photographer or did you move towards that subject matter after trying other subjects? I have always been a very active outdoors person. I grew up sailing with my family on the Great Lakes. My parents did not have a ton of money, but they still managed to take me to visit the Canadian Rockies and Virgin Islands while I was in high school. I knew that my destiny was not in Michigan, so I went to college at the University of Arizona where I graduated with a BS in Mechanical Engineering, however, what I really learned in college was how to backpack and rock-climb. After college, I moved to Seattle to be closer to the Cascades and Canadian Rockies in order to further my ice-climbing and mountaineering ambitions. I broke my ankle during a leader fall towards the end of the 90s and decided that I was not very good at climbing, so I gave it up. About that time, I bought my first SLR camera and very quickly became over-infatuated with photography. A several month trip to Hawaii and Southeast Asia in 2000, as well as my general inability to maintain full-time employment that involved being behind a desk or on a computer, caused me to naively jump into representing myself as a professional photographer. I've now been working full-time for myself as a photographer for almost 10 years. I love what I do, but it is virtually impossible as a viable business model. I prefer shooting nature and wildlife images in remote locations that few other photographers will ever be able to visit. :: Would you rather be above water photographing or below it? Why? Honestly, if I could afford it, I would only do underwater photography. Unfortunately, it is also the most difficult and expensive work that I do. I appreciate that I am equally highly regarded for my landscape, wildlife, and underwater photography. Taking a picture underwater is certainly the most difficult and dangerous, as well as rewarding, work that I do. :: What is the best piece of photographic advice you received while getting started? Learning about graduated neutral density filters made a huge impact on my photography and ethics. However, learning to treat my photography ambitions as a business allowed me to grow into a professional photographer. :: What piece of advice would you pass on to a fellow photographer just beginning to get into wildlife as a focus in their photography? I totally appreciate any new photographer's enthusiasm for using a camera, especially around exciting wildlife, but most of them never learn the difference between a snapshot and what I do. Taking pictures of your pets or at the zoo is good practice, but getting out to see truly extraordinary wildlife encounters requires a level of commitment that most photographers will never be capable of. Pick a subject that motivates you and study the work of professional photographers to improve your own work. If you can afford it, take a photo workshop or tour with a photographer whose work you admire. Smaller groups offer more opportunity for personalized instruction. If you aspire to make photography your business, don't go to the same locations that everyone else does. :: What was the worst/scariest experience you've had while photographing nature? I've photographed many types of sharks, whales, and pinnipeds underwater, so I am not too scared of any of them as long as I see them coming. However, one time I was way off shore of the Big Island of Hawaii photographing a baby sea turtle while swimming in 10,000 ft. of blue water. All of a sudden the sea turtle bolted and an enormous brown shark rocketed out of the deep from below me. I screamed into my snorkel and only really saw this pelagic shark out of the corner of my eye. It was probably curious about what I was but was more scared of me than I was of it once I started thrashing in the water. I never saw it again as I tried to levitate out of the water back to the boat. I did not get back in the water the rest of that afternoon. :: If you had to spend a month photographing in one place, would it be Alaska or Hawaii, and why? On any given day, I prefer to wear shorts and sandals in hot weather. I could live without ever seeing snow again. Alaska's wilderness is the most compelling location that I frequent. I thrive on being in a remote location by myself photographing beautiful scenery or wild animals that few other people, let alone photographers, will ever be able to see. :: Now that you've been in the business for a good period of time, what are the biggest challenges you face, or anticipate facing in the future? I initially found business success selling my fine-art prints. However, my business has now changed to publishing and leading private and small group photo tours. If anyone would have told me four years ago that I would not be doing art shows or working with galleries, but instead be known for my blog and social networking, I would have thought they were insane. Being able to adapt to the new business tools has allowed my business to grow. Do I like it? Not really, but I enjoy sharing my adventures and accomplishments with a wider audience. No one else is volunteering to promote my photography, so it is up to me to do, and me alone. :: How do you juggle the schedule between being a landscape photographer, and having to go out on location to shoot, and being a family man? I often say that I am now a victim of my own success. I can not complain, since I chose this career path, but it is difficult to balance my business and family. When I started 10 years ago, I did not yet have children, but knew that I would. The main thing that I do is that I never travel for more than 14 days at a time. Any longer and I miss my girls too much and they miss me. I go on about ten 1 to 2 week trips each year, which is still a lot of time to be away from home. My wife loves me, but also likes her space. She also knows that this is what I love to do and how I support our family. :: What is your favorite tool to use in post-processing? I am an advocate of shooting only one image and doing it correct the first time so that it requires minimal processing. I use Aperture and think that the most important thing that anyone can do to their images is to set a proper white and black point. 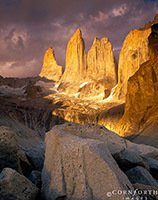 :: What is your favorite image out of your portfolio...and discuss a bit on what gives it that special distinction. My humpback whale photography is my most important work. My image of a group of humpback whales bubble-net feeding at sunset in Alaska is so unique that I could never hope to repeat that image if I tried. 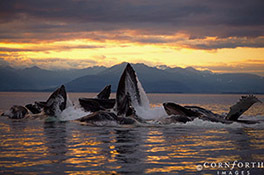 Not only is seeing bubble-feeding an incredibly difficult thing to do, but to have a beautiful sunset behind the whales in southeast Alaska is virtually unheard of since it is perpetually cloud covered and raining there. :: Any big projects coming up that you'd like to talk about? I will be returning to Patagonia for the third time this January for landscape photography, and Raja Ampat in Indonesia this March to scuba dive and for underwater photography. These bigger international trips are a bit out of the ordinary for me. I am very excited, but also fearful of being away from my family for three weeks at a time. I look forward to my two-week trips to Alaska all summer to use my boat. These trips can be very frustrating due to the bad weather, but my experiences are incredibly rewarding when everything comes together for a spectacular picture.